The diagram above can be interpreted as follows. Teachers content knowledge (CK) is very important – this is the starting point. They should also have good pedagogical knowledge(PK). In order to deliver a certain aspect of the content, they should have appropriate pedagogical content knowledge(PCK). In many instances, this delivery may require tools (T). Traditionally, teachers have used a range of tools. Chalk, blackboard, books, charts have been a part of the classroom lanscape for sometime. As teachers we use them without any questions. But each time a new tool emerges for classrooms, a level of anxiety develops – some will embrace it quickly while others may take more time. For teachers to embrace a new tool such as ICT, they need to not only have good technological knowledge (TK), but they also need to have a good understanding of how their subject matter (TCK) fits in with the technology. Technological pedagogical knowledge(TPK) is also important because teachers need to know what pedagogies which work with which technology. 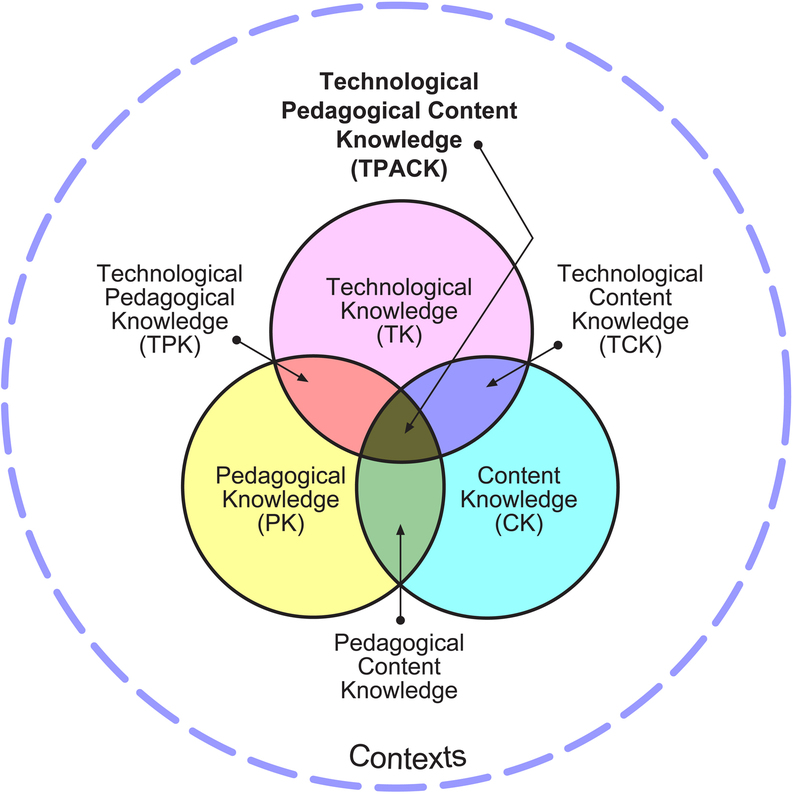 Collectively these aspects constitute teachers’ technological pedagogical and content knowledge (TPACK). The development of this knowledge in teachers takes time and effort – this may also involve many cycles of review and refection. ICT is a tool. Like any tool – it needs to be used for a reason. There are many reasons why these tools should be used. One good reason is that it can create variety in classroom activities and also address learner needs as proposed by Gardners Theory of Multiple Intelligence. 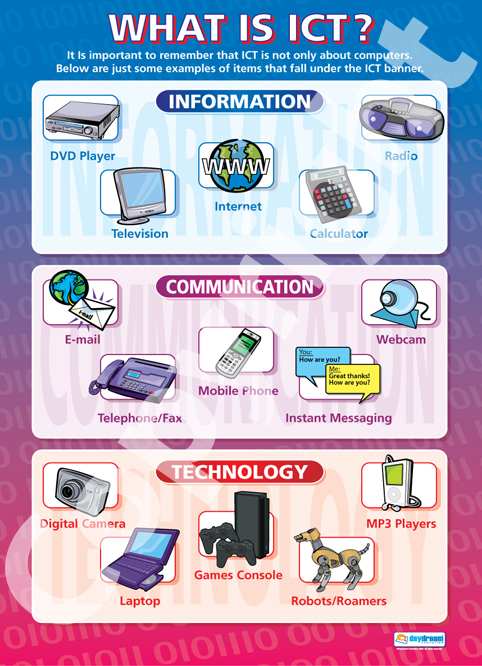 Carefully designed ICT activities can bring these intellectual strengths to the fore. The Educational Origami highlights some of these possibilities. David H. Jonassen, Jane L. Howland Rose M. Marra believe that ICT facilitates the following: Knowledge construction (not reproduction), Conversation (not reception), Articulation (not repetition), Collaboration (not competition) and Reflection (not prescription). While ICT can be used to support instruction, what is most important is that it should be used as a knowledge construction tool that that students learn with, not from. 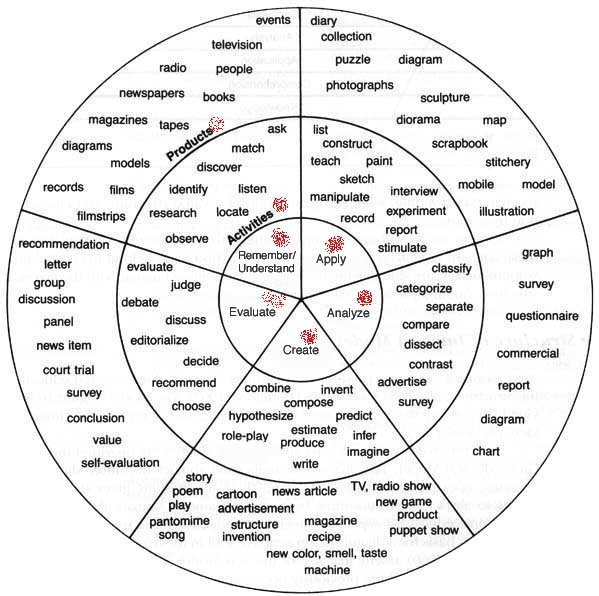 In this way, learners function as designers, and the computers function as tools for interpreting and organising their personal knowledge. For this to occur, students need appropriate activities which bring these opportunities to the fore. A new look of Blooms Taxonomy is a good starting point. Bloom’s Taxonomy enables us to categorise learning activities based on the thinking that an activity needs. Remembering and understanding require low levels of thinking (e.g. reading a book). But tasks that require students to apply, analyse, create and evaluate progressively draws upon students higher order thinking skills (e.g. creating a video clip). Such activities are good for students’ are in the classroom and in the real world. 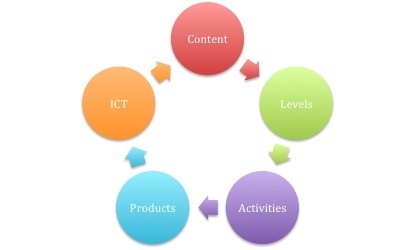 ICT can be of significant value in developing activities that draw upon a range of thinking skills in students. For example Google Sketchup can be used as an effective tool to draw models of buildings in an Art and Craft lesson. Data gathered in a science experiment can be analysed using Spreadsheet in Libre Office. Students can engage in role play activities in Health Science. This can be videoed – students in another class can view and critique the video for its content. Kathy Schrock has a blog page where she shares her knowledge on Blooms Taxonomy and ICT. It is very important to understand that the technology does not drive the design of a lesson. If Blooms Taxonomy were used as a framework, the following questions can be used as a guide before a decision is made whether ICT would be effective in a classroom activity (a) What needs to be taught (content)? ; (2) What thinking skills are required (levels)? ; (c) What activity needs to be completed (activities) ? ; (d) How is learning demonstrated(products)?, and (e) How can ICT be embedded in this task(ICT)? This forms a part of a review and reflection cycle. Think of other options as well! These are clips from an episode of the Cosby series. When viewing these clips think about Uncle Wilton’s teaching strategies. The point that Rebecca is trying to make to Denise is also important.